Dirt on the carpet not only spoils the ambience in a room, but it can also causes illnesses and allergies, especially to high risk people such as children and those prone to allergies. 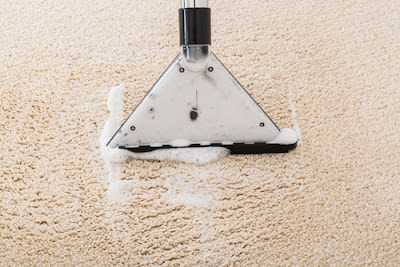 Additionally, a carpet that is properly cleaned and maintained is likely to last twice as long. This is because dirt also dulls the carpet’s sheen and destroys the carpet’s yarn when the particles are ground on the carpet. Evidently, carpet cleaning will benefit you and those around you. 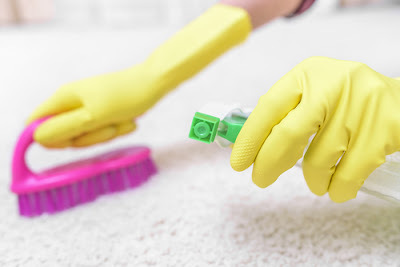 I know the main question on your mind is -“How do I clean my carpet properly?” Well, as you engage in your other house cleaning chores, apply the following tips for a better cleaned carpet. - Set the vacuum on the right level to achieve maximum results. If you set it too high, it will not pick any diet. On the other hand, if you set too low, you will damage the drive belt and roller brush. - To set it right, raise the vacuum to its highest height. Turn it on and start lowering it until you start feeling that it is pulling itself forward then lock it at this point. 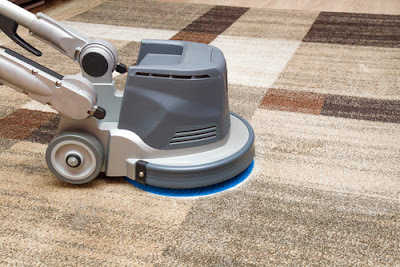 - Vacuum the high traffic areas of the carpet twice a week. The whole carpet should be vacuumed at least once a week. However, you should not take this routine as the ultimate solution. Vacuum your carpet as need arises because there is a week that the traffic in your home will be more than others. - Take more time vacuuming the high traffic areas of the carpet as compared to the low traffic areas. - Ensure that the vacuum filter, bag or cup is clean. When you use a dirty cup or filter, you cut the suction power by half, hence reducing the equipment’s effectiveness and efficiency. If you cannot replace the filter, wash it on a quarterly (once in three months) basis. - Rather than rubbing off a stain off the carpet, blot it UP. This is because blotting puts a small amount of pressure on the stain thus allowing it to soak in the towel/paper/sponge while rubbing grinds the particles into the carpet’s yarn, which the stain more permanent. - Ensure that you blot inwards and not outwards as the latter will spread the stain further. - You can use club soda to blot up wine or beer stains. - If club soda does not work, mix white vinegar and water on a ratio of 1:1. Put the mixture in a sprayer and spray the stained area. Let the solution sit for quarter an hour before blotting off the mixture (which includes the stain) with towels/paper/sponge. If you are dealing with a stubborn stain, repeat this process. - If dealing with other types of stain, use shaving cream. Apply the cream on the stained area and then let it sit for half an hour. Blot it using a white towel. Spray the 1:1 white vinegar and water solution on the same area and then wipe it off. - To remove blood stains, first use water with a mild detergent. Try to scrape off as much blood as you can. On the remaining stain, pour some hydrogen peroxide and watch it foam as it comes into contact with the blood. Dry the carpet off by dabbing the area with a dry towel. - To remove candle wax, place a towel over the stained area and place hot iron on the towel. The melting wax will stick on the towel. You can scrape off the remaining wax using a butter knife. However, ensure that the iron is not placed on the paper towel for more than 30 seconds because it will burn it. h. To remove chewing gum on the carpet, place some ice cubes on the chewing gum for about 30 seconds. Removing the chewing gum will be quite easy as you can use your hand to take it off the carpet. If there is some still stuck, you can gently scrape it off. - To remove candy from the carpet, scrape it off with a butter knife or brush. Use mild soapy water and a sponge to remove the remaining sugar from the carpet. If you fail to remove this extra sugar, the stained area will attract more dirt and stain even further. - To get rid of those stubborn grease stains, use water and the detergent you use to wash off grease from the dishes. It will cut through the grease stain on the carpet in the same way it works on your dishes. Spray the water-detergent mixture and then blot it up using a towel. Repeat the process until you achieve your desired result. - When your pet messes up the carpet, use an organic cleaner as opposed to the usual chemicals. It will not cost you much. Spray the cleaner on the stain and do a little scrubbing before blotting it up with a clean towel. After removing the stains and vacuuming the carpet, you may need to deep clean it regularly. a. You can steam clean, which is also known as the water extraction method. i. Use a machine model that does not need you to hook it up to a clean water source. This will save you from the hassle of dragging a horse round the house while cleaning. ii. To avoid water extraction, buy the most powerful model you can afford. iii. Caution: Ensure that you do not get the carpet overly wet. This is because it will ruin the carpet’s inner part, which further causes odor, discoloration and shrinkage. b. You can also use the dry extraction method. i. Spread a cleaning compound on the carpet and then vacuum it using the cleaning machine. However, note that this is a more expensive approach than steam cleaning because the machine and the chemicals used are more expensive. ii. If you do not have the carpet cleaning equipment, you can hire them from your local cleaning company or other areas that offer such services. c. If you do not have the time to do your own cleaning but you do not want to compromise your carpet or you cleaning standards, hire cleaning professionals. However, ensure that you do your due diligence on their credibility.